Amaranth and buckwheat are the base for this easy to prepare mash mix. Gluten-free Anelli pasta is the perfect size for small beaks. Anelli pasta; very tiny pasta rings, is made with quinoa and brown rice flours, beets and spinach. 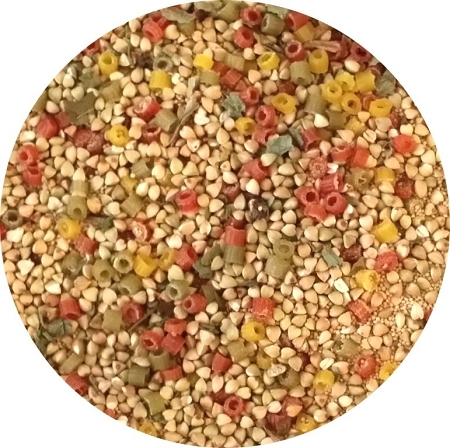 Ideal for parrotlets, budgies, lovebirds, cockatiels, mini macaws or any small parrot species. Larger birds will love it too!